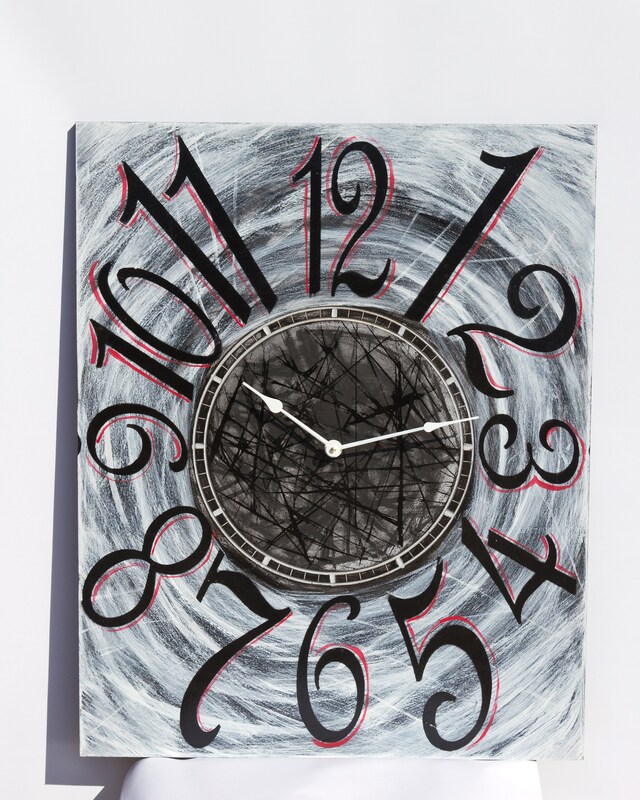 This distinctive black and white 24" x 30" wall clock is truly one of a kind. It features glossy black numbers with a vibrant red outline and white hands that really pop against the background of this unique piece. All of our clocks and games are handcrafted and finished by local Kansas City artists so you know they are made with care every time. 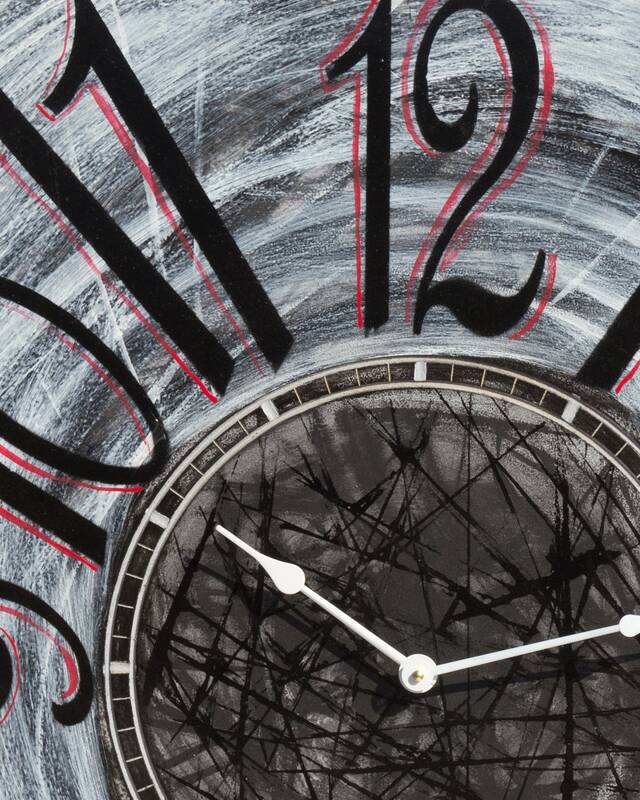 This clock is a one of a kind piece, but we would love to recreate any product and personalize it for you. The hand finishing process means we cannot guarantee that a reproduction will look exactly like the item pictured, but we always try our best to get very close. - if there is something else you would like custom we can discuss any possibility. Customization starts at $30 (unless it's a basic color change) and goes up from there depending on the difficulty of the project.